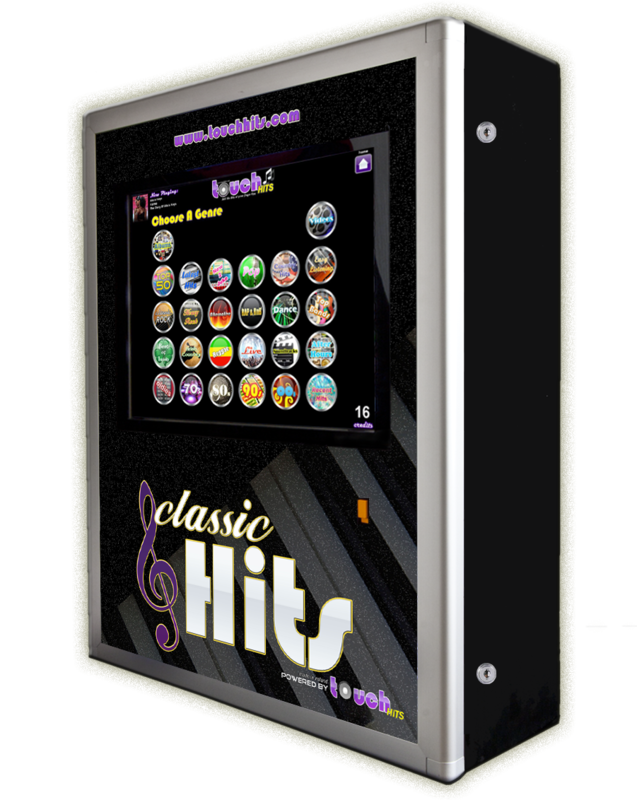 TouchHits are proud to unveil our new Classic Hits digital jukebox. This state of the art jukebox combines style and protection by merging a robust, slimline cabinet that’s only 180mm deep, with an 8mm acrylic screen backed by a protective touchscreen bezel and housing. 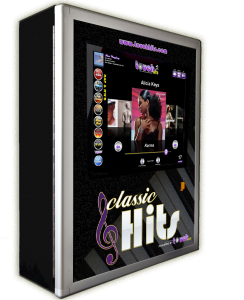 Running on the latest TouchHits technology, the Classic Hits offers thousands of audio and video hits on demand from the old time favourites to modern day chart releases and everything in between. If you’re looking for a jukebox that combines security with the latest in modern technology and styling, to blend seamlessly with it’s surroundings, then you won’t find better than the new Classic Hits jukebox from TouchHits. Please note, the Classic Hits jukebox is no longer in full scale production but refurbished units may be made available upon request. To find out more about this, or any of the other TouchHits products, please call +353 1 4433117 or alternatively see our Contact Us page.